Kilmainham Gaol (Irish: Príosún Chill Mhaighneann) is a former prison located in Kilmainham in Dublin, which is now a museum. It has been run since the mid-1980s by the Office of Public Works (OPW), an Irish government agency. 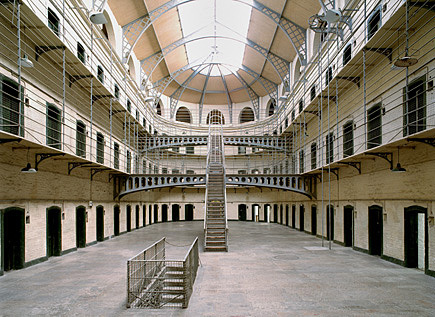 Kilmainham Gaol played an important part in Irish history, as many leaders of Irish rebellions were imprisoned and some executed in the prison by the British and latterly in 1923 by the Irish Free State. Midway Ireland Tours can bring you on a unique tour of this Prison, which is a place never forgotten by Irish republicans.